If you want a tiny, well-built box with loads of encoders or knobs, Faderfox has you covered with its latest round of hardware. (Previously, too: faders!) 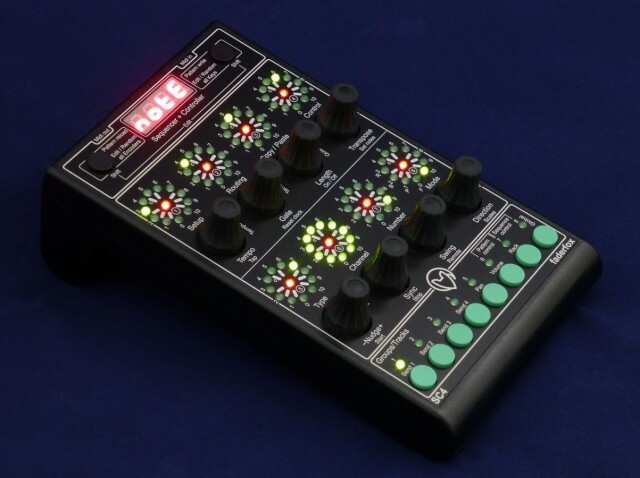 But with the SC4, the Hamburg, Germany-based builder adds something else: a brilliant step sequencer you can use with software or standalone hardware. Faderfox has two new controllers this month – the knob-laden PC4, which is basically a bunch of pots, and the encoders-with-display SC4. Both work as general-purpose controllers. But the SC4 adds a step-sequencing firmware. The SC4 then becomes more than just a flexible, do-anything controller. It’s about the most step sequencing power you can get in a small box, at 209€ (249€ in Europe with VAT). It works with software (via USB), but it also is happy to run on its own (via MIDI). That combination of features sets the SC4 ahead of a lot of the competition. Arturia’s BeatStep is cheaper and adds velocity-sensitive pads, but it lacks the more advanced step sequencing and has no screen. DJ TechTools’ MIDI Fighter Twister has a sleek design and 16 encoders instead of 8, but those come at the cost of standalone operation, MIDI, and a display – basically, any of them a deal-killer for use in step sequencing, at least if you work with hardware or (rather than drum patterns) melodies. Add to that Faderfox’s terrific build-quality (using absurdly nice German parts) and firmware reliability, and I’m keen to review this. An SC4 is on its way to me now, and since I’m presently addicted to adding hardware to live rigs, I can’t wait to report back. Let’s start with the most exciting bits, the step sequencing on the SC4. Mathias says the Faderfox SC4 was inspired by the RYK M185 sequencer, built as a new sequencer for the classic Roland 100m modular series (and compatible with that format). (There has been a software emulation of the M185, from Defective Records, too, if you simply can’t get enough. And because many more people have Eurorack than 100m, there’s also the excellent Intellijel Metropolis. Both were made in collaboration with Ryk. There weren’t many of the original hardware made, but you can spot some pics and other info scattered around.) The SC4 riffs on that inspiration as a unique encoder-based sequencer, introducing a different control interface and other ideas, while expanding on some of Ryk’s sequencing innovations. You can best follow that in the two videos included here. But what’s clever is that different groups layer different functions. That makes the sequencer more powerful when programming, and more playable when performing live. 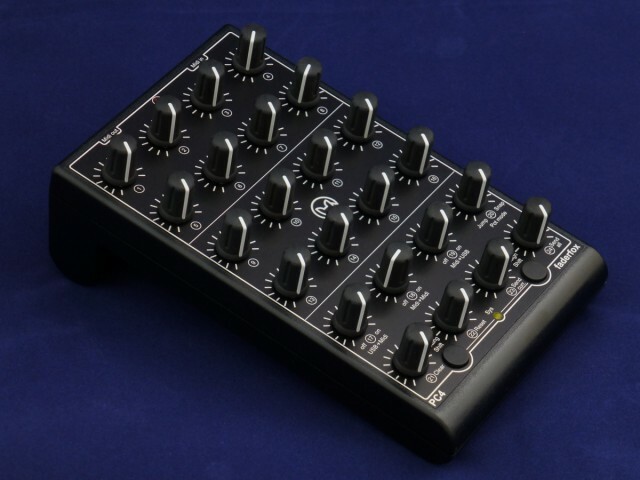 You can change length, vary grooves, and create polyrhythms, control synth parameters, and even use the SC4 in conjunction with its probability and variation controls as an “idea generator.” It also makes great use of push-button functions, for things like mute. Getting around that power requires a lot of potentially-confusing shift-keys and such, but at least they appear clearly silkscreened and it doesn’t appear there’s too much deep-diving to make things happen. I’ll let you know what it’s like actually using it when I test it. Watch both videos for a full run-down of what it does, followed by a jam. Eight group types: note, octave, repeat, CC, accent/link, length/skip and probability. Set each stage to its own clock. (This is huge, and inspired by the Roland. Linking in the accent track gives you push-button access to making glide/legato. Probability track for randomizing/varying parameters and melodies/rhythms. Separate octave track (nice for basslines, in particular). Reset button to keep things grooving. 8 patterns * 8 stages = 64 link-able stages. MIDI clock sync, tempo tap, clock reset, reset counter, nudge. Sequencer transpose, direction, clock reset, pattern select can be controlled externally via MIDI (for instance, with a keyboard. So, it does a lot – it does things you didn’t even ask for. And this is embarrassingly better than a lot of the currently-available step sequencing hardware. There’s no CV out, but at this price, analog junkies can afford an adapter (and MIDI is perfectly fine for transmitting sequence data). This is the step sequencing hardware to watch at the moment, along with two others. First, while it’s nowhere near as compact as the SC4, last week we saw a great sequencer for the Behringer BCR2000. Second, the Digital Warrior project is adding a display and more sequencing powers. I think the DW is a nice counterpart to the SC4: it does Traktor sequencing and lots of layers with a logical control layout, thanks to clever use of its 4×4 grid of pads. I sort of want both at the moment. And that’s before we get to the controller functions, which are likewise formidable. It’s a universal device that works with anything, from standalone hardware (just add your own USB power adapter) to computers and (with Camera Connection Kit) iPads. It’s already pre-mapped for Ableton Live 8 and 9, but as it’s driverless and generic, you can use it with anything. No-driver, powered USB connection for MIDI. MIDI IN, MIDI OUT, with merge. 8 LED crowns show current value. Unfortunately, what you can’t do it seems is send LED values – they’re hard-wired to the current settings – so people wanting to do creative Max patching with these might find that one question a limitation. Then again, this covers 90% of what you’d most like to do. Send CC, pitch bend, program change, or notes – and program it all on the hardware. Store up to 30 setups, with backup/restore (including patterns). And it’s tiny – 180x105x70 mm, weighing just 350 g.
So, it’s a MIDI command center for computers or software, and a step sequencer. The only potential gripe you might have would be, maybe you prefer knobs to encoders and don’t care about step sequencing. If so, the new PC4 is for you. It’s in this same small form factor with a bunch of pots instead of LED-ringed encoders. The PC4 has some clever touches of its own. You get a full 24 pots. But you can also “fast-assign” pots with incoming MIDI messages. And to avoid jumps, you can switch on or off “snap” as you turn the pots. The PC4 is no slouch as a controller, either, with 16 setups. To me, it’s a lot less interesting than the SC4, but if you’ve been longing for a bunch of pots, it’s for you. It’s worth checking out the whole Faderfox range. I’ve just purchased a UC3 for myself, a universal fader encoder with pots and different groups, and I absolutely love the thing. In place of lots of fancy auto-mapping controllers, the UC3 is something I can just map the old-fashioned way, with – frankly – less hassle. And I can throw in a bag so I always have nice-feeling faders handy. It’s a bit short on controls with just the eight encoders (and their push-button function isn’t assignable), but then that might mean the UC3 pairs perfectly with the PC4 or SC4. I really don’t understand why the Faderfox doesn’t get more attention, apart from it doesn’t come from a big-name maker. The UC3 is simply one of the most-useful pieces of hardware out there at the moment, and a joy to use because the faders are so nice. It’s unambitious and unassuming and … invaluable. So, stay tuned for a look at the SC4, to see if Faderfox can pull off a sequencer as nicely as it has, for years, done controllers. And, oh, yeah, did I mention that having generic MIDI control and standalone operation makes hardware about four times as valuable to a lot of us? That, too.